Those who make Proatur are people who feel passion for horses and the equestrian world and we want to transfer our passion to this tourist initiative that seeks to share the experience of being in contact with horses to people who wish to have the experience of tourism in nature in a different and unforgettable way. (Promotora de actividades turísticas, s.a.) was established in May 1987 for developing its business activity in the field of nature tourism. In the same month, he became the winner of the CAMPINGREDOS farm, a newly built municipal camping site in Hoyos del Espino (Ávila), in the middle of the Gredos mountains; Since then PROATUR has maintained a special relationship with this magnificent natural scenery that is said mountain. Specialized in equestrian tourism and horse riding. An unforgettable way to get in touch with nature and enjoy rural tourism. We have in Covarrubias, (Burgos) on the banks of the Arlanza, an ecustre center from which we make horse trails of different levels, beginner or advanced, horse riding courses in which we include the class in English, so that they can learn to ride on horseback while practicing English. In addition to the classic activities linked to the facilities of Covarrubias (routes, dressage, boarding, classes …), PROATUR has launched a series of GREAT ROUTES OF EQUESTRIAN TOURISM, which cover for several days the most emblematic places of our lands, full of natural, historical and artistic, gastronomic and oenological attractions …, and that have made them attractive in our country and beyond our borders. In Sierra de la Demanda, on the banks of the river Arlanza we have our campsite, in the town of Covarrubias. A natural space prepared for your summer holidays or for long stays. 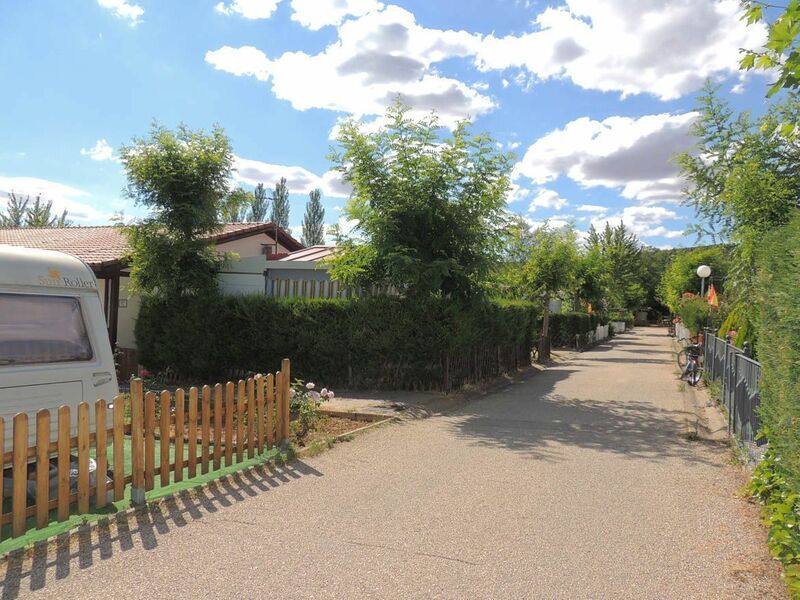 In an extensive area of land in Covarrubias we have our campsite where we offer spaces fully equipped with light, water and sewer sockets for summer stays in caravans, modules, tents or caravans. We also have all year round bungalows and modules in which we also admit long stays. The situation and the surroundings make Camping Covarrubias a perfect place for a holiday in which you are looking for contact with nature, the rural world and also , because of the proximity of cultural spaces as important as Santo Domingo de Silos, Lerma or Covarrubias itself a perfect place from which to make cultural excursions. 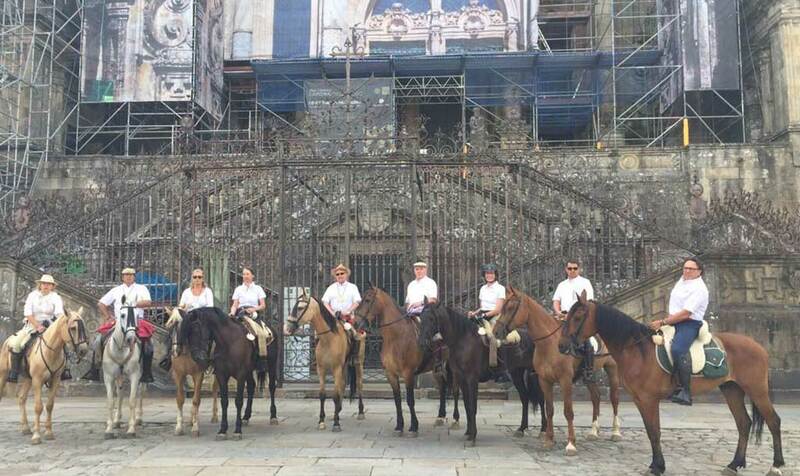 Seeking to be able to carry out the Way of St. James on horseback, since 2015 Proatur manages and attends some BOXES located along the Way as it passes through the autonomous community of Castile and León. In them, following the itinerary, the riders meet adequate facilities for rest and care of their mounts. 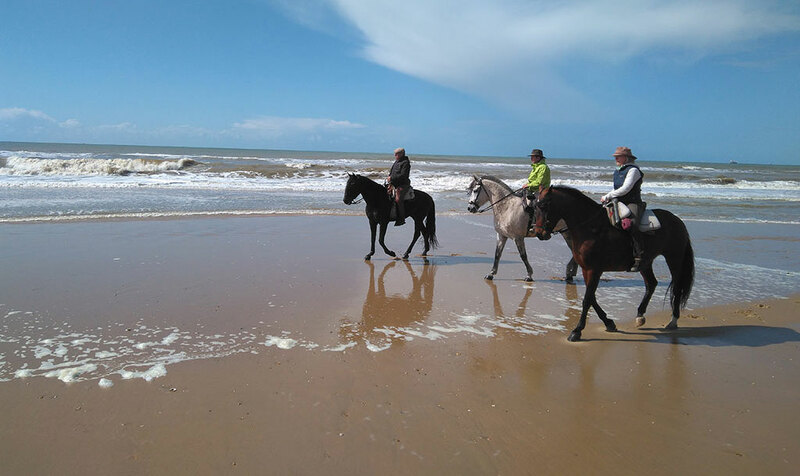 Proatur as a company specializing in active tourism makes horse trails along the entire Way of St. James. We made the French Way in four stages. Each stage is a full week starting from Roncesvalles, in Navarra until Santiago de Compostela, where we finish in the same Plaza del Obradoiro. In the section on RECOGNITIONS, we are pleased to note that PROATUR received in 2004 the BEST ACTIVE TOURISM PRODUCT in the “Adventure” and “Absolute” modalities that are presented at the FITUR fair. Also in 2004, one of its routes, La Burgos-Arlanza Trail is named “BEST ROUTE OF THE PEGASUS CATALOG IN SPAIN”.